Today, it is still possible to have a walk across Alcalá de Henares recreating its Medieval Era (centuries XII-XV). The former San Justo’s hamlet, then called Alcalá de Henares, was established for the first time around the place, as the tradition runs, where the martyrs Justo and Pastor were buried. Later, the Jews arrived there attracted by the security and respect that Alfonso VI de Castilla stated in his regulations and directed to this religious community. On the other hand, Muslims or Mudejars, that is, the inhabitants of the regained places who remained faithful to their muslin beliefs, also had an important presence in the city during the medieval era. 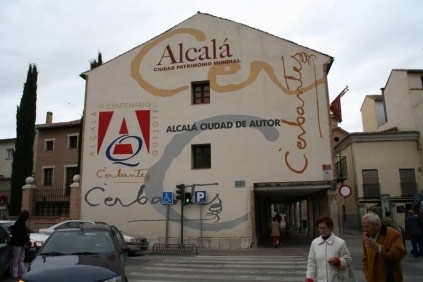 This way, Alcalá de Henares was defined as an urban centre where the three cultures coexisted until their arbitrary and traumatic expulsion in the XV and XVII century. Some neighbours of the medieval Alcalá de Henares still maintain the traces of other eras, as well as their legends. That’s the reason why today it is worth rediscovering, among XVII schools and buildings, the trace of a society that have enabled religious and cultural tolerance for centuries.